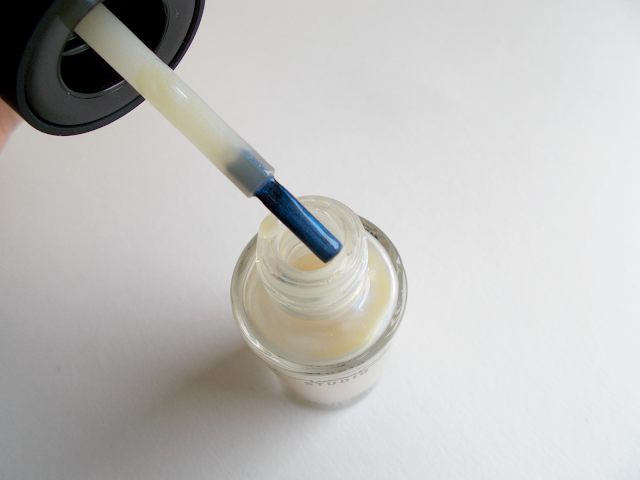 Today I'm going to be reviewing the MAC Transformations Nail Lacquer in 'Highlight'! Highlight is part of the Transformations collection by MAC that was released in 2014 and is made up of a series of topcoats designed to transform to look of regular nail colours. MAC describe Highlight as a polish that illuminates nail colour with sheer, pearlescent shades of blue. The packaging fits in well with MAC's core collection; a clear bottle & a matte black rubberised lid. It costs £10/$12 for 10ml of product. I recently acquired this polish as an out of the blue gift from my sister for which I'm very grateful! 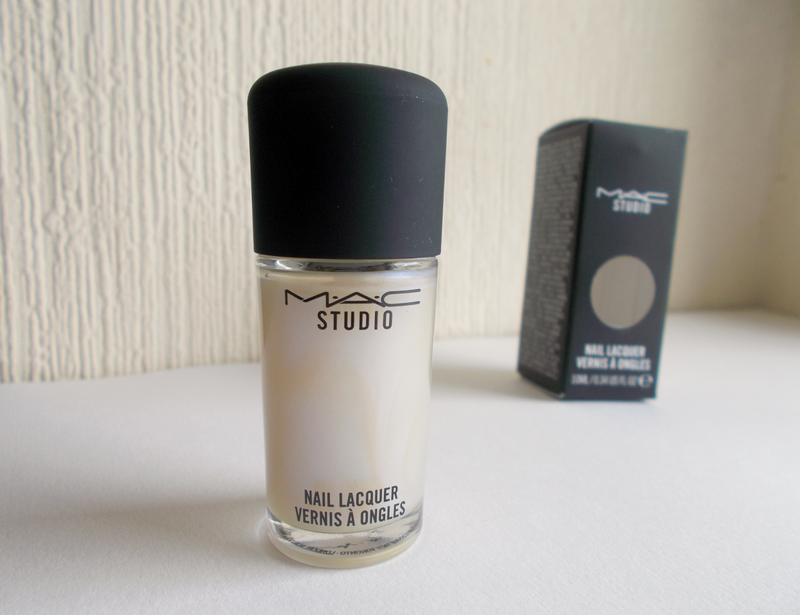 I'd never tried a nail lacquer from MAC so I was keen to see what they're like. I can't seem to find Highlight on the UK MAC website but here it is on the US site. I believe my sister picked it up in Duty Free so I'm guessing you can can get it at most places that sell MAC but feel free to correct me if you know what the deal is! I absolutely adore how this looks layered over different polish colours as well as how it does on it's own! It's full of extremely fine shimmer particles suspended in clear polish so when the light shines on it, you get a beautiful shine and a pearly blue effect. The brush is thin but does fan out a little. That coupled with the fact the formula is quite thin, it applies really nicely and dries quickly too. If your polish application technique is less than immaculate, I find Highlight as a topcoat disguises that a bit as it smoothes it over and takes the attention away from any smudges or dents. So when does it chip? Well, I think chipping varies from person to person but I got to day 6 before I saw minor chipping and I think that's pretty impressive! It definitely adds longevity to any polish you have underneath. I definitely think £10 is a bit steep for a nail polish but it is a lovely treat! As a nail polish addict I probably would invest in more from MAC's nail line now I know the quality. That said, I'm likely to skip the basic colours you can easily find at the drugstore and go for more unique shades to make it worthwhile. No still photograph will ever be able to pick up how beautiful it is (and believe me, I took loads!) but here it is! The furthest left nail is Highlight on it's own and the rest are what it looks like layered over various different polishes. It's available in physical MAC stores here in the UK. You can get other polishes (which are quite similar) in the Transformations range here on the UK website. So those are my thoughts on the 'Highlight' nail lacquer by MAC. Get involved in the comments below and tell me what you think of it! Have you ever tried a MAC nail polish?